The Ohm Beads Limited Edition Bead of the Month for September is called Chi Chi Sticks. 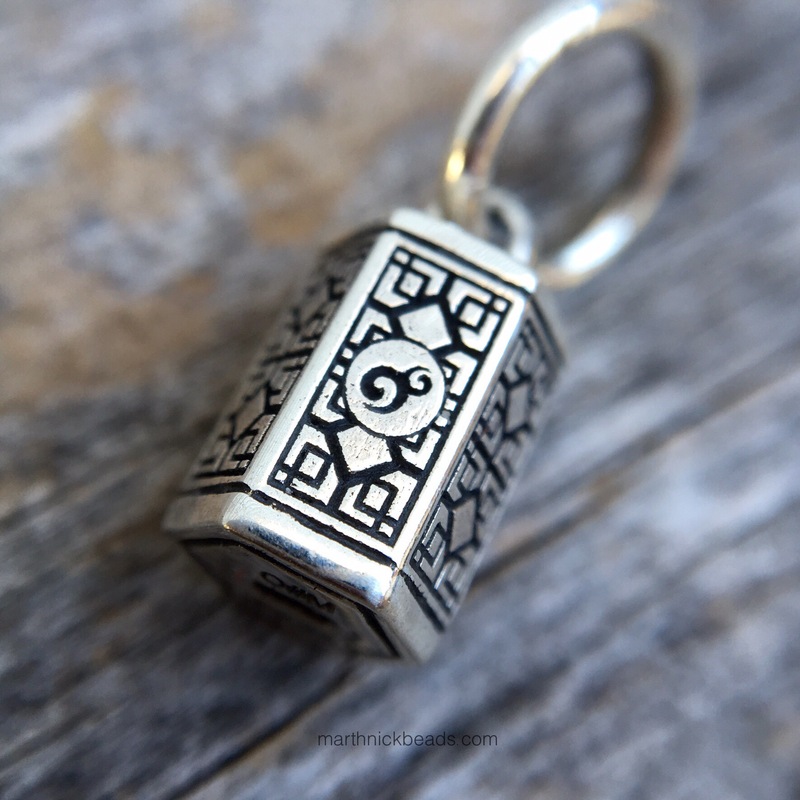 As of yesterday they were still available on the Ohm Beads website. Chi Chi Sticks are an ancient Chinese way of Fortune Telling. The idea is that the tubes contains some sticks, you ask a question to a deity and once you shake one out, the one that falls out will be the answer to your question. Usually the sticks have numbers and then you look on a list for the matching number and answer. Because this bead came with a lot of packaging and sticks that I can use myself, I made a fun unboxing video. The sound really makes the video (which is just a template from iMovie, the Retro Trailer one). Here are some photos of the detail on this bead. I really, really like the engravings on this one. In my opinion it’s a perfect size for a bracelet dangle. You could use it as a dangle on a necklace, especially maybe on a fine chain. Here it is on the Dirty Twisted Bangle. 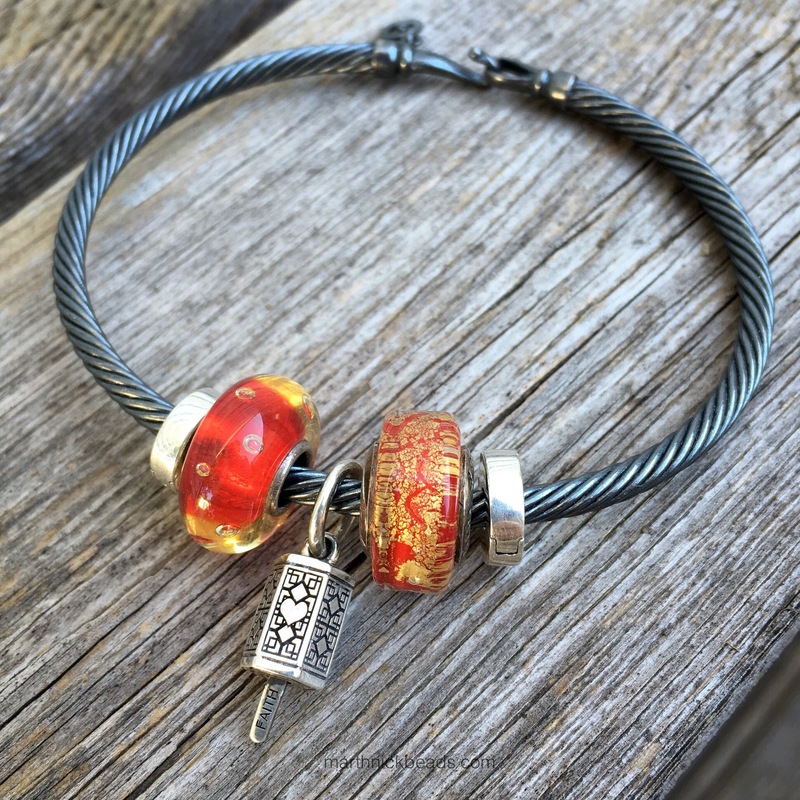 The bead on the left is a Trollbeads unique and on the right is the fabulous limited edition Year of the Horse Ohm Bead from 2014. On the mini bracelet below, left to right are the unique, Hug Me by Ohm Beads, a Disney Pandora Belle Murano, Chi Chi Sticks, Year of the Horse, Ohm Baby Shake Rattle Roll (yes, it’s a baby rattle but I also like it as a little dangle to balance the Chi Chi Sticks 😀), another Belle, My Precious and Sky Fire, both by Ohm Beads. It’s been fun seeing on Instagram the different languages and mantras that people received. Did anyone else have fun opening their Chi Chi Sticks? 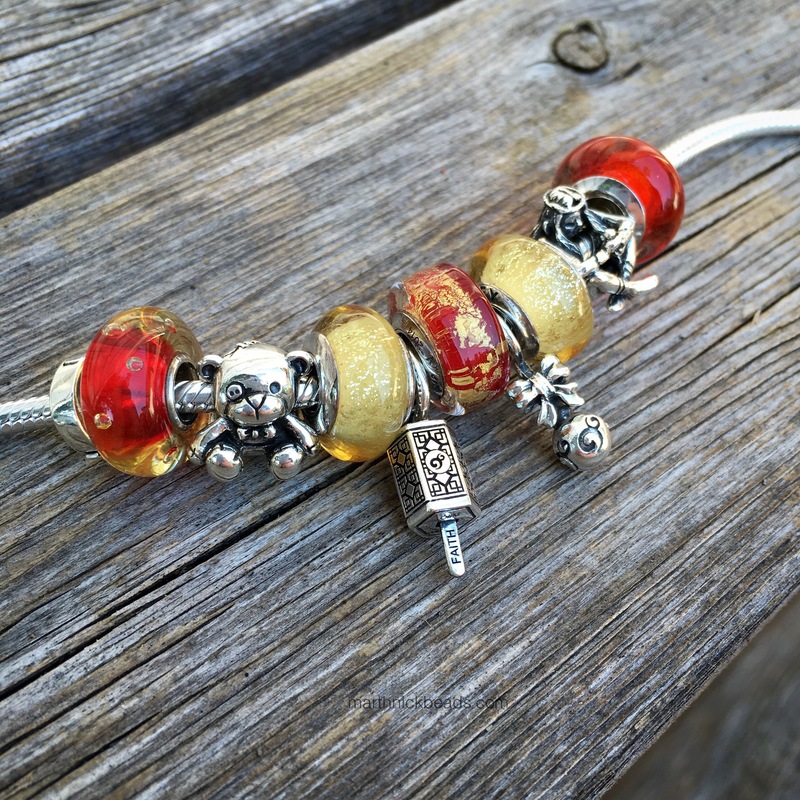 Coming up Wednesday are the new Trollbeads Tassels and Citrine Facet Ring and Friday will be the Friendship Kit. I love how you matched it with the red and gold! Thanks April. I wish I had bought two of those Year of the Horse Beads! 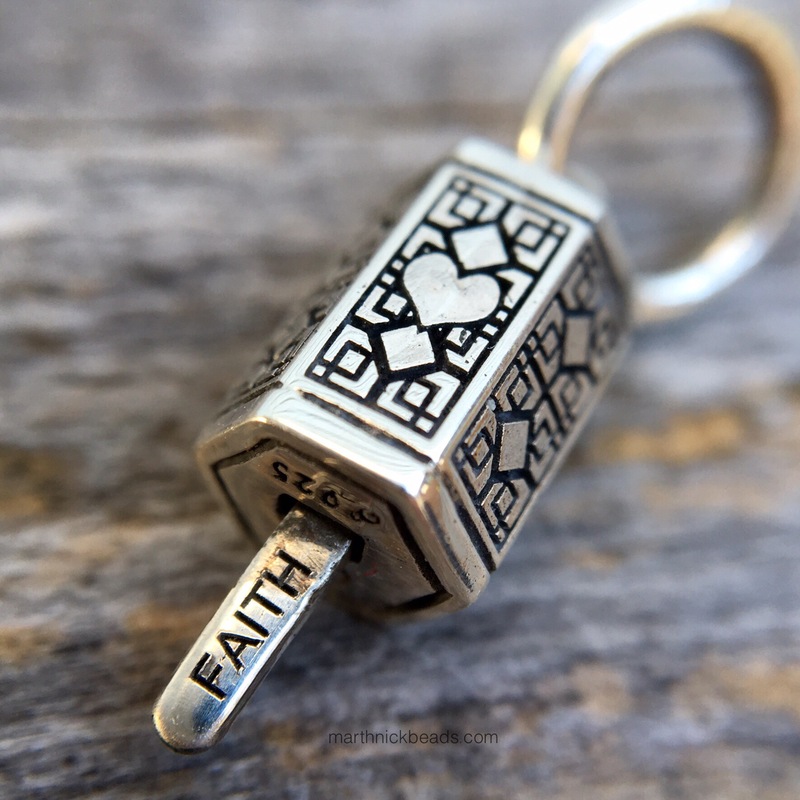 This is such a beautiful idea for a charm and the details are lovely. 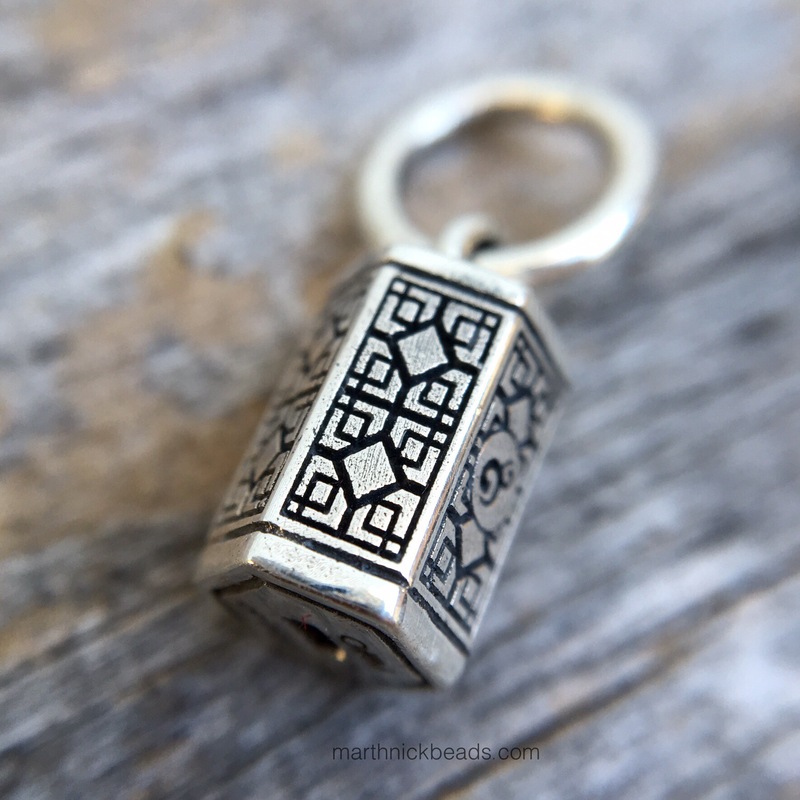 I think it would be a beautiful gift for any bead or charm lover. Your Film Noir is brilliant and this last combo with the red and gold is so charming and beautiful! I would buy it as is, if I had my own fortune. Thanks Sarah. The bead really has lovely detail on it! That’s such a cute bead, and I like the little detail of putting fortunes in various languages. Your red and gold bracelet is awesome. And I loved your movie! Thanks Kim. It really is a sweet bead. I had a lot of fun making that video, lol! I love your video – so fun! They certain did an amazing job on the details and I love that they got members of the ohmily to help them with some of the sayings. If you are still looking for another year of the horse, the Australian Ohm site still has them. Ah! Thanks for the tip, Tracy, I’ll go take a look. 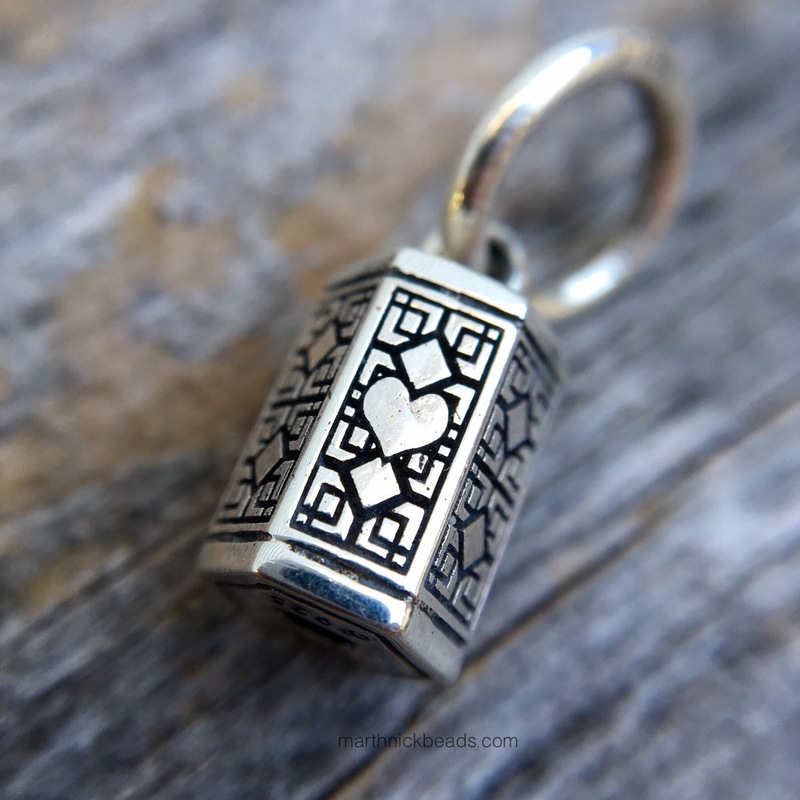 Yes, this bead definitely has a community feel to it! Just got mine today and looked up your review! Love the movie and the bracelet is beautiful! Thanks! Hope you like yours! I can probably see it on Instagram? I’ll go look! I was trying to decide how to use the chi chi bead when I saw what you did with the red and gold. Well, finding the year of the horse bead was not easy but I finally did it! I’m a little late commenting but I just found your blog recently. That’s awesome! I love the Year of the Horse bead. Hope you enjoy it!